I loathe ketchup and other tomato products with the fury of a thousand suns, largely because my college’s dining hall put it on *everything*. This has got to be a cult or something, I like catsup myself but I don’t chug it right out of the bottle. 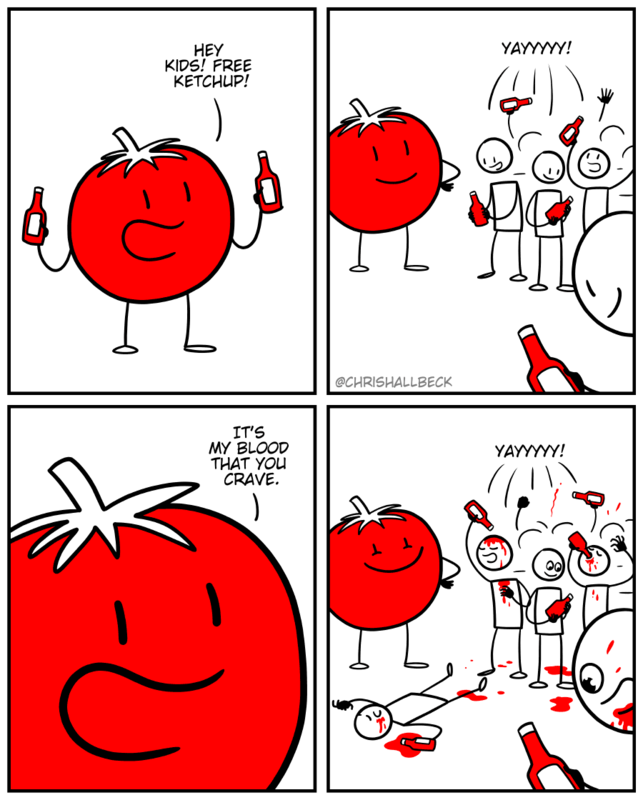 But then if catsup came from a giant talking tomato, I suppose there probably would be a cult.